Author: Roeder, Mark A. Set In . . . Description: Is turning a haunted mansion into a Bed & Breakfast such a good idea? Sean and his family think so, except for Avery, who believes guests will be scared away by disembodied voices, candles that light themselves, and the ghostly reenactment of the notorious Graymoor Ax Murders. When the gay boys of Verona went their separate ways, Verona was more at peace than it had been in ages. Skye, the local champion of gay boys, has been gone for five long years, however, and much has changed in his absence. Sean and Nick lived apart during their college years. 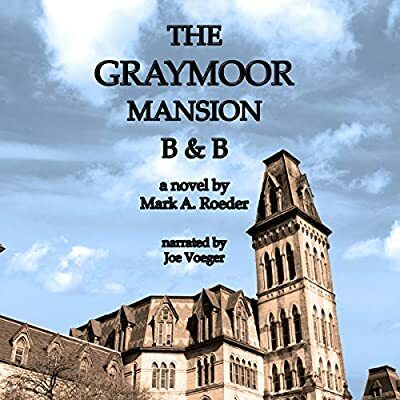 They've eagerly anticipated their reunion, but what will happen when Ross, the drummer for Phantom, comes to stay at Graymoor with the band? Is Nick over his Ross obsession-or is there trouble ahead? Jordan and Ralph have long considered starting a family, but can they surmount the obstacles that stand in their way? The gay boys of Verona, old and new, are together once again.